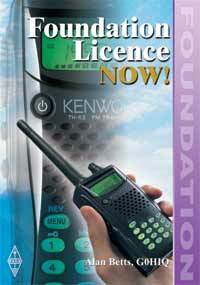 “The Foundation licence is your gateway to amateur radio. This book, and the other books mentioned within this Training section, are available through the RSGB book shop, which can be accessed by clicking here. On obtaining your book, you should check here for corrections, updates and additional information. The Foundation exam consists of a practical assessment, which must be signed off by an RSGB Registered Assessor, and an examination which consists of 26 multiple choice questions (4 answers) and lasts for 55 minutes. The practical assessment must be completed before the exam can be taken. Some may find it easier to revise from the Course Syllabus, rather than the book. If so, this can be accessed by clicking here.